The Middle Tennessee State Blue Raiders (18-15, 4-2) made up major ground over the weekend in the conference standings. 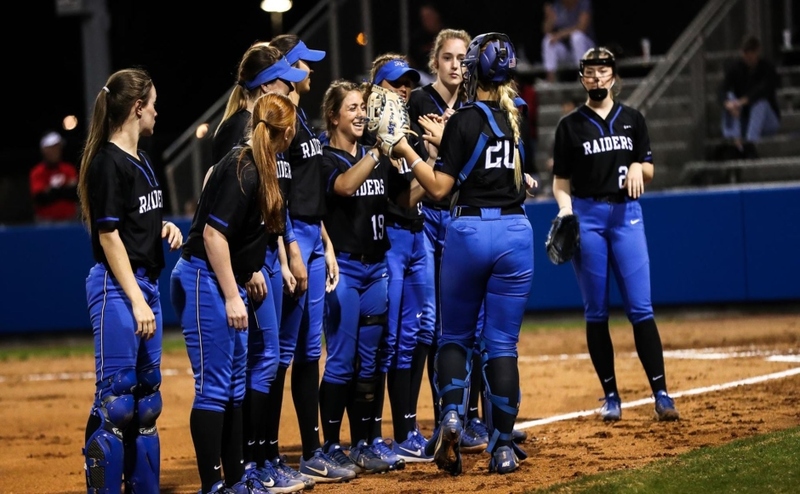 They welcomed the Florida International Panthers (18-15, 0-6) to Murfreesboro for a weekend series, and the Blue Raiders walked away with a sweep. After dropping to a 1-2 start to begin conference play, this series jumped them two games above .500. Saturday was a doubleheader that began with a blistering 8-0 victory over the Panthers. MTSU scored seven runs within the first three innings, and that cushion kept FIU at bay for the remainder of game one. 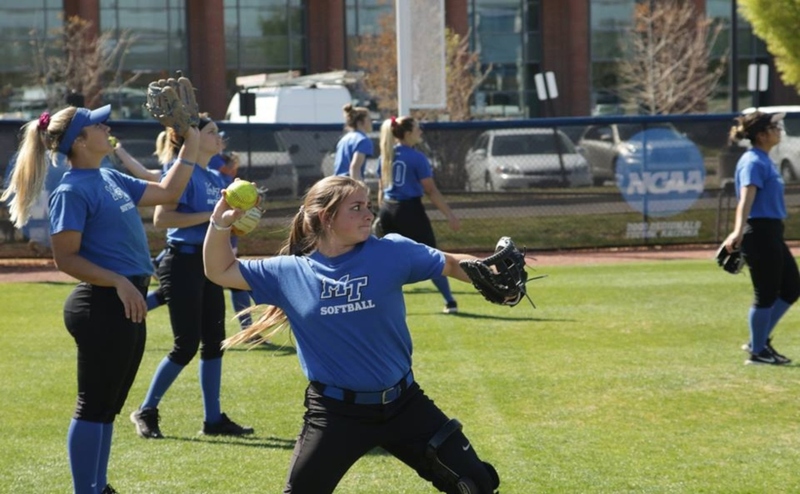 Sophomore Amber Baldwin got the start in the circle for MTSU, and her pitching was outstanding all day. She only allowed four hits on the day and pushed her record to 2-1. 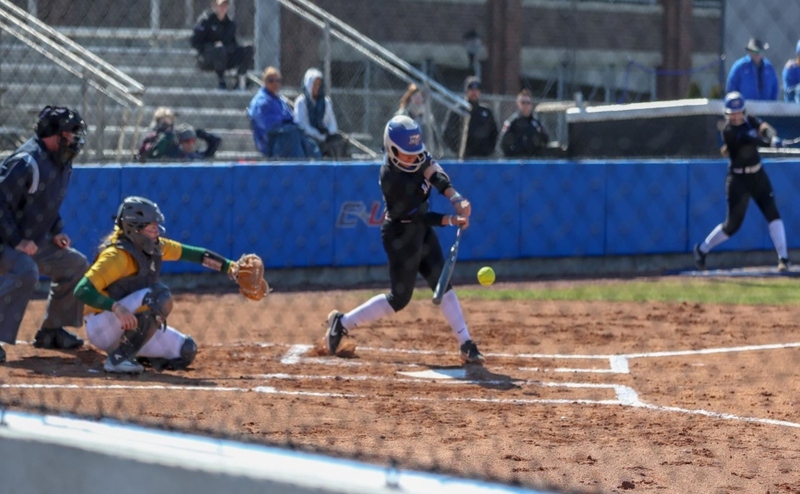 The Blue Raiders were able to capitalize on the Panthers, walking two runners and Claire Smith bunting to have the bases loaded. Ryan King was able to put the ball in play to bring Brooke McClure and Lexi Cushing home. Later in the inning, Kirstyn Cuccia was able to put the ball in play to force a fielder’s choice, which allowed Smith to score. The biggest swing of the game came in the third inning for MTSU. With the bases loaded, Kaylyn Slatter grand slammed, as she was pinch hitting for Smith. That propelled the Blue Raiders to a 7-0 lead, and they cruised to victory after that. Although they would add one more run in the sixth for good measure. MTSU wasn’t able to ignite their bats like in the first matchup. 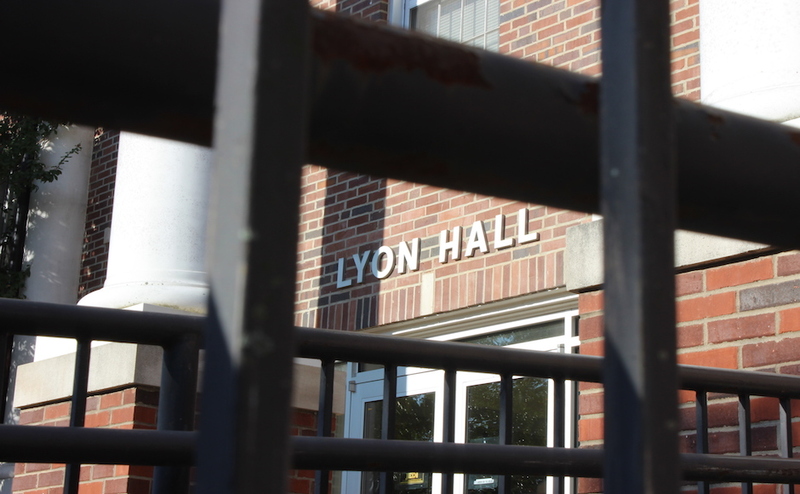 However, the Blue Raiders were able to grind out a another win in the later innings. Corrina Dodd received the start for the second game and earned herself a victory too, adding to her win total. She only gave up three hits and moved to 9-3 on the season. Cuccia played hero and finally opened up the gates for MTSU. She solo homered in the fifth inning to break a scoreless game and give the Blue Raiders the lead. Building on the fifth inning, Sydney Heath tripled to start the sixth. Next up to the plate, Lani Rodriguez was able to bring Heath in and put the Blue Raiders up 2-0. In the final inning, the Panthers were able to score one run but couldn’t tie it to extend the game. 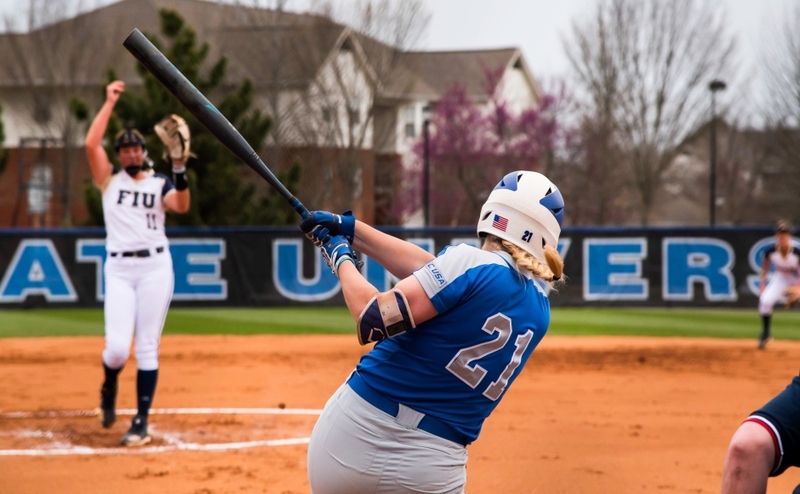 MTSU was able to seal the doubleheader on Saturday and went for the sweep on Sunday. The song remained the same on the second day of the series. On Sunday, MTSU scored five runs, all coming within the first three innings similar to game one. Everyone was able to get in on the action for the game, and the Blue Raiders completed the sweep of the Panthers by way of a 5-0 decision. Summer Burgess got things started in the first with a double, and Jocelynn De La Cruz followed that up with a single that brought Burgess around. King singled on a hit down the third base line, and Cuccia homered yet again to push the lead to three. De La Cruz and Rodriguez kept their hot streak going too by getting the second hits on the weekend. Keely McGee pinch ran for De La Cruz, and McClure was able to add to her RBI total in the series. McGee’s run edged the lead to 5-0, and MTSU never looked back. Baldwin received her second start of the series and added another win to her season. Although she allowed more hits (5) in the second start, the defense behind her played excellent and led to the shutout. 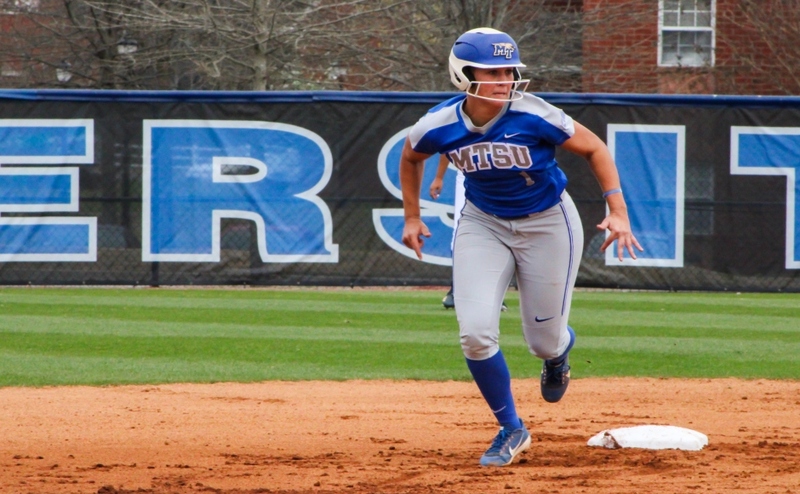 MTSU will make a short trip to Nashville to take on Tennessee State University on Wednesday. The Blue Raiders will square off against the Tigers with opening pitch being set for 6 p.m.